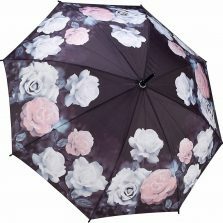 Vintage Pink Umbrella - Umbrellas & More at Umbrella Heaven! 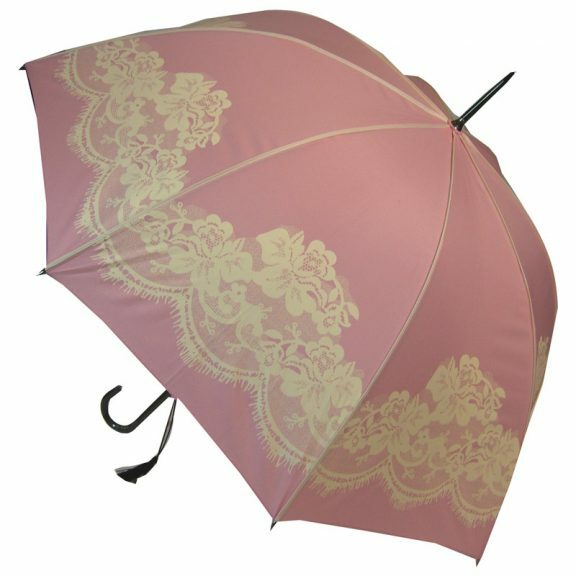 The Vintage Pink Umbrella is a sensational vintage style printed umbrella. Fully automatic opening, featuring a beautiful fine white detailing running down the length of each of the tough fibreglass ribs, matching the white lace effect print on the pink canopy. 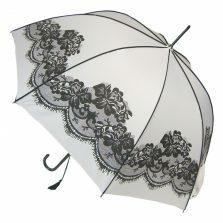 This is one of a number of vintage style umbrellas that we sell. If you’re looking to bygone years for your inspiration then take a look at the other vintage umbrellas we have available in our Vintage Umbrellas category. But if you have in mind a vintage pink umbrella then this could well be for you. This ornate vintage pink umbrella parasol has a leather effect crook handle with tassel and a canopy width, when open, of 94 cm. 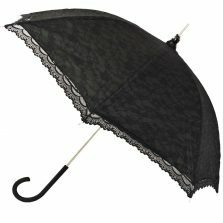 This is a full length walking style umbrella at 89 cm long from handle to tip. This vintage pink umbrella is totally rainproof, so is perfect as either a vintage style umbrella or a vintage style parasol and makes a great gift to someone special or a treat to add to your own umbrella collection – at any time of the year. Not the umbrella for you? 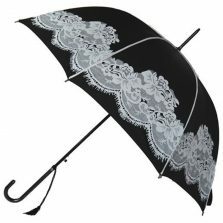 Check out the rest of our quality vintage umbrellas! I just got this umbrella a couple of days ago. It is absolutely gorgeous! I have received several compliments on it, even from complete strangers. It is easy to open and close. I own several umbrellas but this umbrella is my favourite in my collection. It really is beautiful!